So, you’ve booked your first superyacht charter, and any day now you’re going to be stepping aboard into a floating world of glamour and adventure. You’ve come up with the perfect itinerary in collaboration with your yacht broker and yacht captain, and you’ve filled out your preference sheet so the crew can prepare the yacht beforehand with all your favourite food, drinks and entertainment. There’s only one thing left…. and that’s knowing what on earth to pack! 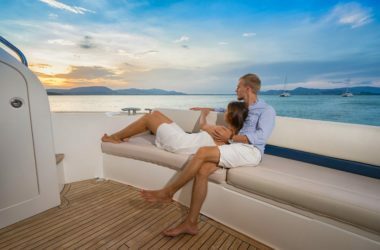 Packing for a luxury yachting vacation isn’t exactly the same as packing for other high-end holidays, and there’s nothing worse than getting onboard to realize that your holiday would have been just that little bit better if you’d known more about what electronics, clothes, and accessories would prove useful on board. We’re here to help. 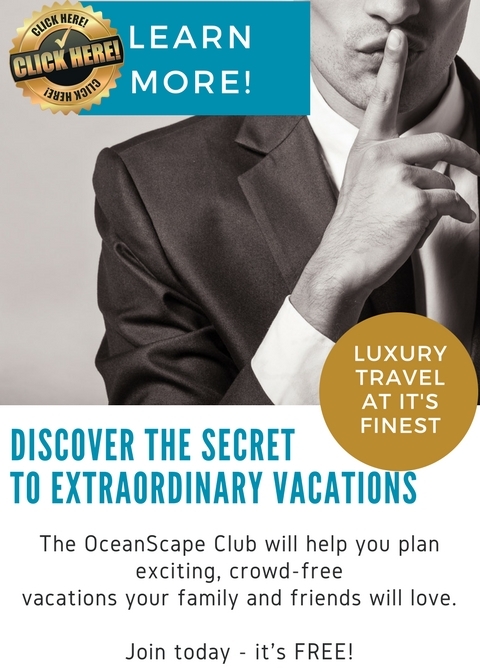 The team at OceanScape Yachts have been lucky enough to spend a lot of time on luxury yachts- whether as charter guests or professional crew- so have the inside knowledge on what you should pack for the perfect holiday. Many first-time charter guests don’t know this, but most types of shoes are completely forbidden on board a superyacht. High heels dent and ruin the teak, dirt from street shoes soles marks the deck and plush carpets, and black-soled shoes leave horrid scuff marks on floors and staircases. Most yacht guests are happy to go barefoot, but if you’d prefer to wear shoes, buy yourself a pair of white-soled, brand new flat shoes such as loafers—to be worn only while onboard. Alternatively, some yachts will provide white fluffy slippers, or you can bring your own. You lie down on a deckchair on the sundeck, champagne fizzing softly and the Jacuzzi bubbling softly. You pick up your iPad to do some afternoon reading or post some holiday pictures on Facebook….and you can’t see a thing with the summer sunshine blazing directly onto your screen. 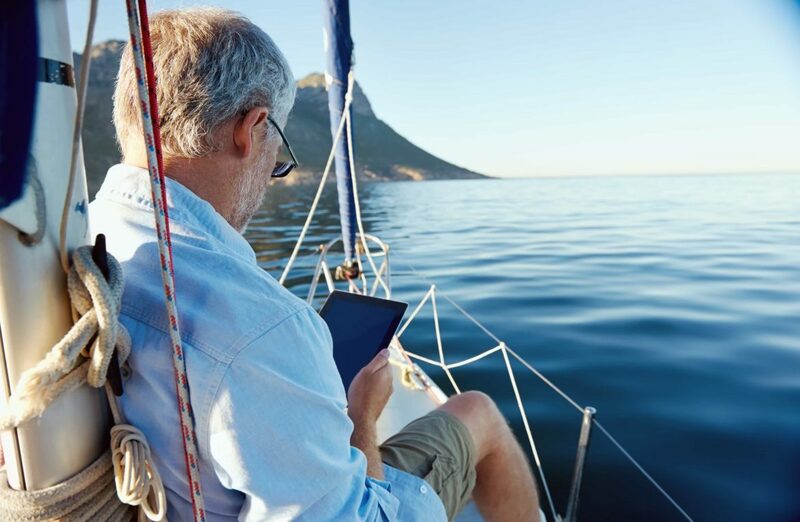 Before your vacation, invest in some glare-protectors for tablet and phone screens, which will improve readability in full sunlight. For reading, Kindle has an excellent in-built glare resistance. The one item of clothing you’ll wear more than any other is swimwear- and they’re tiny, so you won’t waste much space packing them. Why not splash out on a few new pairs of designer swimwear before your vacation to make you really feel the part of the superyacht set. You might be chartering an Italian-built boat, owned by a Japanese family, cruising American waters, so it’s probably safe to say that you don’t know what the plug sockets on board are going to look like… or if there will be enough of them. Find out from your broker which type of electrical sockets the boat has, and throw in a couple of international adaptors and double adaptors for good measure. The yacht will almost certainly provide an international adaptor for each cabin, but unless you only have one electronic device, that’s not going to be enough! This one is often unexpected, which leaves some yacht guests living with their hard-shell suitcases blocking corridors or even sitting awkwardly in the corner of their luxurious cabin! Remember, even though your luxury yacht looks like a designer mansion inside…it’s still a boat, so storage will almost always be an issue. Unless you’re chartering a massive megayacht, pack in soft-shell luggage that can be folded down to fit away neatly in the bilges and out of sight. Many women imagine sitting under a giant floppy hat while on a yachting vacation; the men perhaps see themselves in a fashionable trilby. Which is all well and good- as long as the wind isn’t blowing or you’re not sitting in a high-speed tender flying across the water at 30 knots. Countless hats go over the side on a yachting holiday, never to be seen again. So bring caps for windy days and tender rides, and then glam it up as much as you like on the still days. Unless you’re chartering in cooler climes like Norway or Alaska, you’ll overwhelmingly be wearing light clothes made of soft cottons and linens. Think colourful kaftans, sarongs, light coloured slacks, flowing dresses and comfortable shorts. While your attire on board can be as casual or dressy as you like, it’s always a good idea to bring some dressy clothes for the evening if going ashore, as yachting ports are often quite fancy places and many restaurants and clubs have strict ‘smart casual’ dress codes. You technically only need one pair, but superyachts and sunglasses are a match made in heaven. Bring one pair for each deck of the yacht to save you having to walk up and down stairs…and one more for good measure. Sounds decadent? Totally-but this is a superyacht holiday, remember? Most people don’t automatically think ‘warm clothes’ when booking a Caribbean vacation, but the wind can often pick up unexpectedly at sea so it’s nice to have a light sweater or windbreaker handy for when the yacht is underway. Also, it’s relaxing to have comfy clothes for snuggling up and watching TV at night in your lovely air-conditioned cabin. It’s not because it’s cold, it’s just because it’s well… snuggly. Make sense? Different seasickness medications seem to work differently on different people, so if you suffer from seasickness then be sure to pack what works for you. The yacht will certainly carry seasickness meds, but not necessarily the ones you prefer. As for your other medications or natural remedies, stock up beforehand. The yacht carries a medical kit for general issues but it can’t be exhaustive, and you certainly don’t want to waste your yachting vacation at the doctor or pharmacy chasing prescriptions! The yacht will have toiletries (and nice ones, too). However, on most charter yachts you will be charged for the toiletries under the ‘consumables’ section of the charter agreement- so if you have a particular brand you like using, bring it from home if you have the space in your luggage and you want to keep your charter bill down. Also, don’t bring suntan oils as they mark the decks and upholstery, so you may foot a bill at the end for any damage. Smartphone cameras are good, but they don’t tend to function as well as designated cameras in conditions with lots of glare, haze, and sunlight. Bring a good digital camera, and if you can get your hands on an underwater camera all the better- they are some of the most brilliant holiday shots of all! Don’t worry- your cabin isn’t going to be loud- in fact they’re normally beautifully calm and quiet. However, some guests spend the first night in their comfy bed aware of the unfamiliar creaks of the yacht, the soft hum of the air conditioner, or the lap of the water on the side of the hull. They’re not unpleasant noises, just different- so if you’re a light sleeper, pop some earplugs in your bag. Most people don’t ever need them (in fact they love hearing the water lull them to sleep), but there’s no harm packing a pair for that first night just in case. Lots of yachts have exercise gear like a treadmill onboard, or you might like to have a yoga class onboard or at a resort ashore. If you’ve got space, throw in those sneakers and gym gear- they might end up being the perfect outfit for a hike in the jungle or a run along the beach, even if the idea of a treadmill on vacation is not for you. Why not bring your Fitbit or Apple Watch to see how much action you really get up to on holiday? There’s one last piece of advice I have for you. Despite all of these things you should consider taking, do remember not to pack too much. Storage and cupboard space onboard tends to be limited, so give yourself plenty of time to plan outfits, find out what’s already onboard, and pack cleverly before casting off on your luxury yacht adventure.